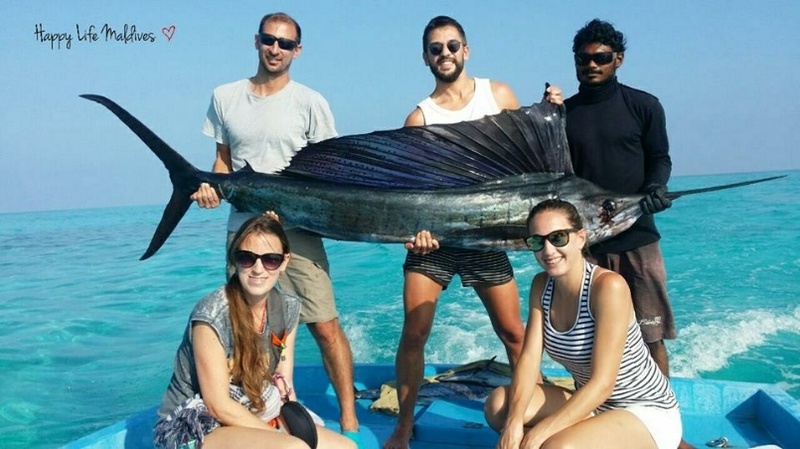 The Maldives and their rich sea life is the perfect place for hobby and expert fishermen and it is very likely that you will make the catch of your life. Day and night fishing tours can be organised and our local team will assist and guide you to make it the perfect experience. They say that July to December is the best time, but in general you can make a great catch throughout the year. “Stay grounded” – Fishing from the beach Fishing from the beach is ideal for the yellow bellies or the little catch in between. We have a fishing gears for you and our team will show you the best places along the beach. Bring your catch home and we will happily make it your lunch or dinner. 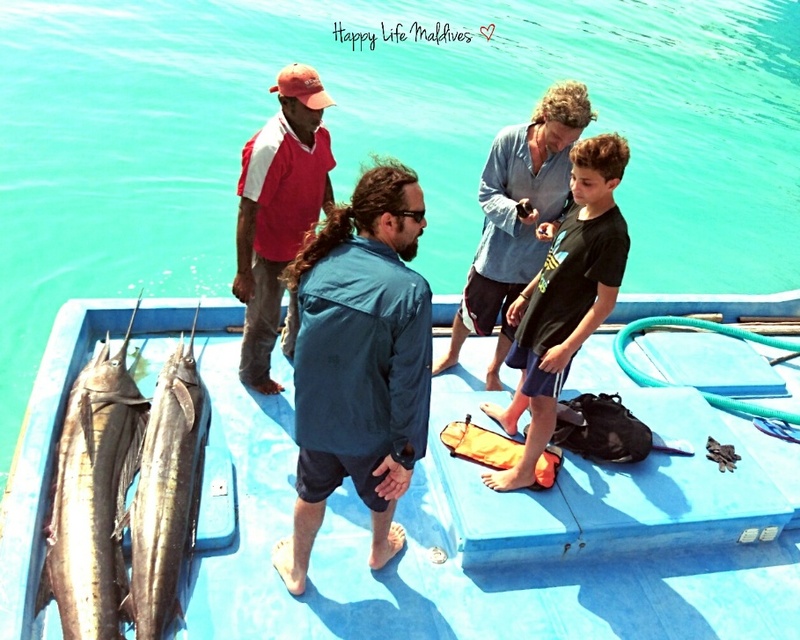 “Get started!” – Fishing inside the atoll Hop on our little happy boat and explore the atoll with our fisherman. 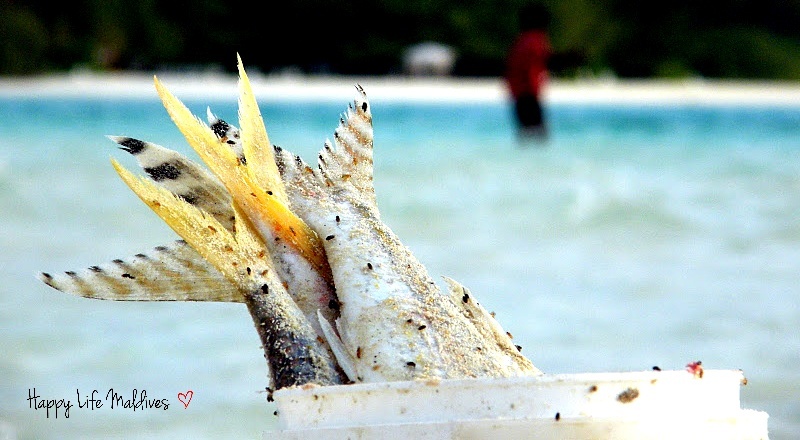 The 5 minute boat ride will bring you to a reef point from which you will most likely come back with a catch about 1 – 2 feet white fish, like white snapper or sprat fish. Our kitchen cowboys will then whip you a delicious meal or a yummy seafood beach barbeque with no extra charge. These excursions are possible day and night time. “Think big!” Fishing outside the atoll If you are looking for a bigger catch you can take the local Dhoni to fish open ocean. This, of course is a bit dependent on the weather conditions. Safety comes first, so this trip is not possible in rough seas but extremely nice with a calm seas and no or mild winds. The boat ride takes about 20 minutes both ways and offers you the real fisherman experience. Our expert fisherman knows exactly where to find the catch of the day, that might be something like a Barracuda, a Marlin, a big Grouper or even a Sail Fish. Be the first to set our Happy Life Record and invite your friends for a great seafood barbeque! 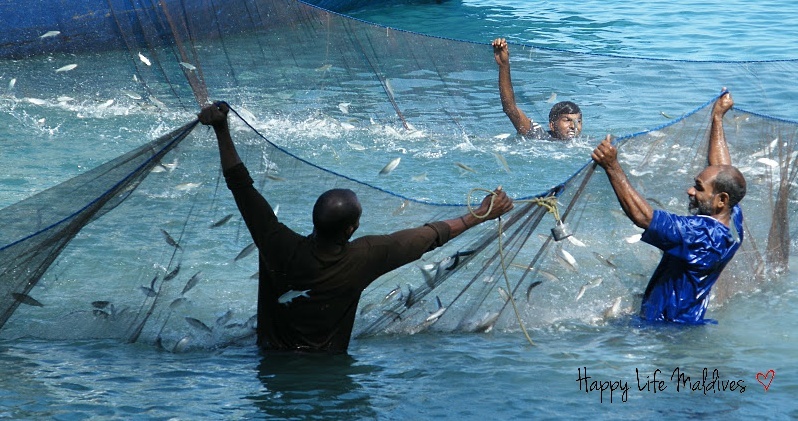 “Get real!” – Fishing with the locals Our guests are also welcome to go for a catch or two with one of the local fishermen for the real Maldivian fishing experience. They will take you on their boat to their favorite BIG GAME fishing spots. You can expect to come home with a beautiful Sail Fish, a big Yellow Fin Tuna, a Wahoo or a big Dorado. Also here you can be the first to set our Happy Life Record, so make sure you invite your friends for a great seafood barbeque or maybe delicious Sashimi. This is really as good as it gets – trust us, you’ll be stoked!